“In one year, the rent from the land brings in the same as if there were a vineyard there, but without the costs and the work involved,” says Mr Mazars. 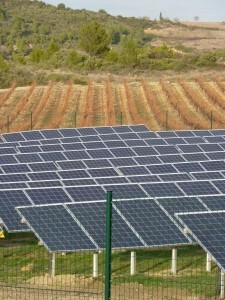 He is talking about the new solar farm in Talairan, in the Corbières wine-growing district. Vineyards are being pulled up all over the Corbières. A few are replanted with so-called ‘improving’ grape varieties, but many are simply reverting to nature. So the construction of 3000 solar panels on the edge of this small village has not gone unnoticed. 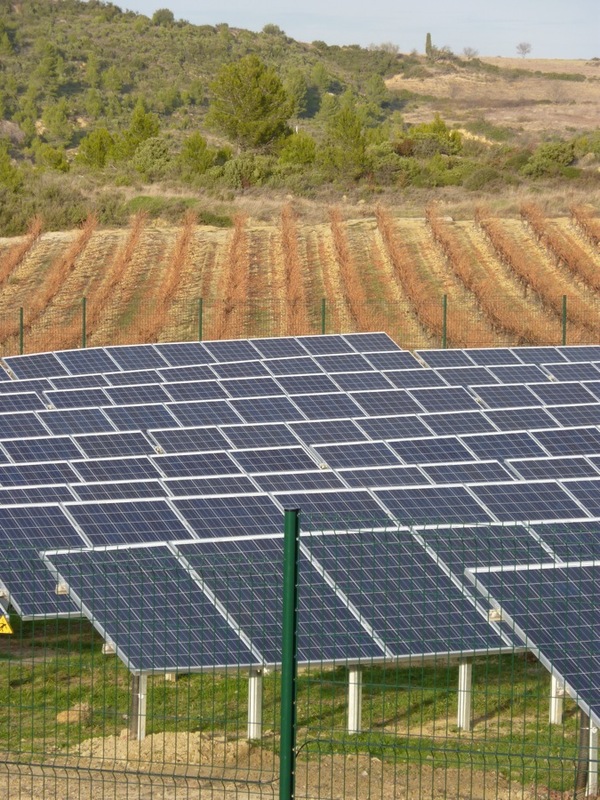 Together they will produce 1.3 MW, enough of the needs of a town of 1000 people. We go to look, meeting a couple of retired people from a nearby village, also there for a Sunday afternoon out. We inspect the installation, a black wave cascading over the low hills. Nobody ventures an opinion on the aesthetics, but there is still a sadness in the air. So, it has come to this. The Romans drank wine from these hills, and for centuries the hills have been dotted with vineyards. Now they are disappearing. This entry was posted on Sunday, December 5th, 2010 at 12:13 pm	and is filed under Uncategorized. You can follow any responses to this entry through the RSS 2.0 feed. You can leave a comment below, or trackback from your own site.